Alicia Keys and her husband Swizz Beatz hit the red carpet for The Mountaintop movie premiere, starring Samuel L. Jackson and Angela Bassett. The event was held at The Bernard B. Jacobs Theatre on Broadway in Los Angeles on Oct. 13, 2011. Together the power couple looked like money, donning the colors green and black. 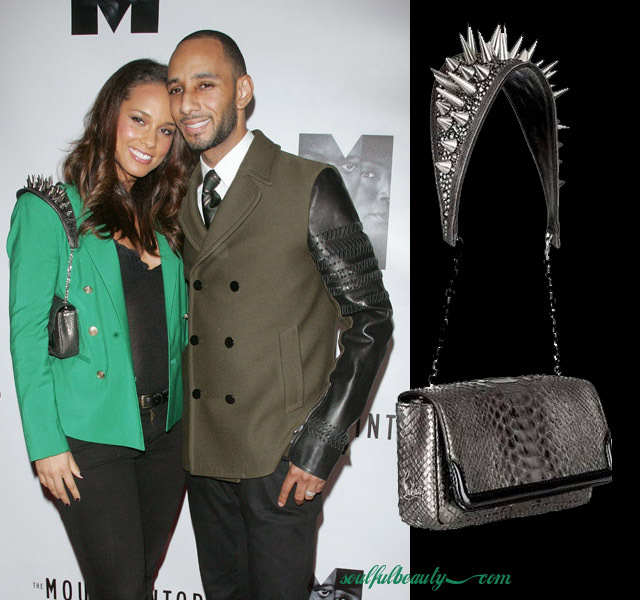 Keys was wearing a Christian Louboutin spiked python Artemis shoulder bag, that easily gave the impression of an epaulette shoulder piece, adding a touch of style to her blazer. 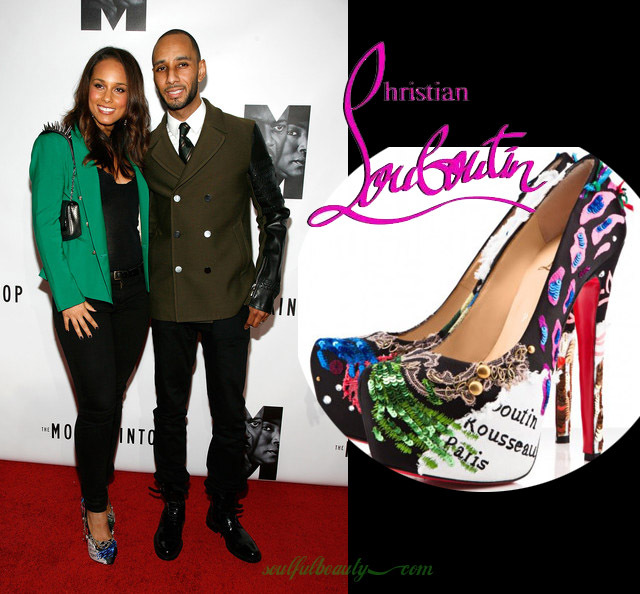 She also rocked a pair of limited edition Christian Louboutin Daffodile platforms, while Beatz snuggled up in a Phillip Lim Braided Peacoat and patent leather ankle boots.